EXCLUSIVE PICS: Deepika's Konkani Wedding Saree Wasn't Sabyasachi, It Was A Gift From Mom! 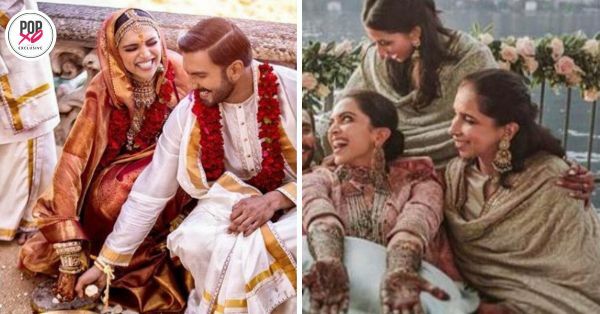 Deepika Padukone and Ranveer Singh's wedding was the highlight of the year! Even though it happened in Lake Como on November 14-15, it was as desi as it could get. The pictures that the couple officially released yesterday proved that throughout their wedding ceremonies, everything was done according to the customs and traditions. They were true to their roots, for even the smallest things. For instance, the food to the guests on the day of the Konkani wedding was served on fresh banana leaves, as designer Sabyasachi pointed out. That's why it came as no surprise to us when this morning Sabyasachi, who designed the couple and their family's outfits for all the ceremonies, announced that the saree Deepika wore on her wedding day was gifted to her by her mother as per a Konkani custom. The saree was sent to the designer by her mother for some extra work. Here's the announcement on Sabyasachi's official Instagram account. The saree was actually purchased by the bride and her mother from the Label Advaya by the House Of Angadi. According to Angadi Galleria's official Instagram account, "the saree is a pure gold zari Kanjivaram brocade Silk, with Gandaberunda (two-headed bird) motif." This was first brought to Shefalee Vasudev's notice by the founder of Angadi who sent her an email. 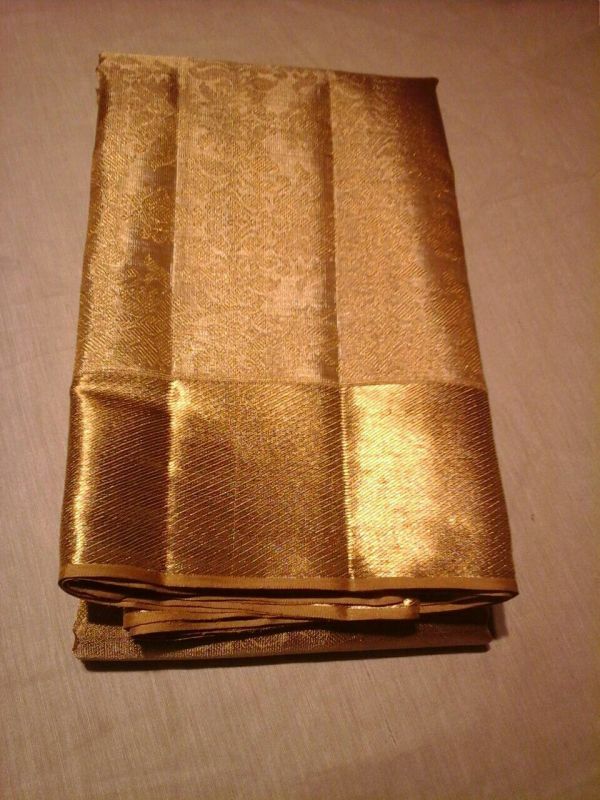 In the mail to Shefalee, who is the editor of The Voice Of Fashion, the founder of Angadi, Radharaman K, said "Deepika Padukone's Kanjeevaram red gold wedding sari worn for the Mangalorean wedding ceremony with a Sabyasachi veil and jewellery was an Advaya sari from House of Angadi, Bangalore. The body design is the Gandaberunda (two-headed bird) the mythological figure that is also represented as the coat of arms of the Mysore Maharaja." Shefalee then posted the same on Instagram to bring correct Sabyasachi and inform him of the same. After that, Sabyasachi clarified that the saree wasn't his but the veil and jewellery were! "Deepika Padukone's Kanjeevaram red gold wedding sari worn by her for the Mangalorean wedding ceremony with a Sabyasachi veil and jewellery was an Advaya sari from the House of Angadi, Bangalore" says Radharaman K, the store founder in an email to @thevofashion. 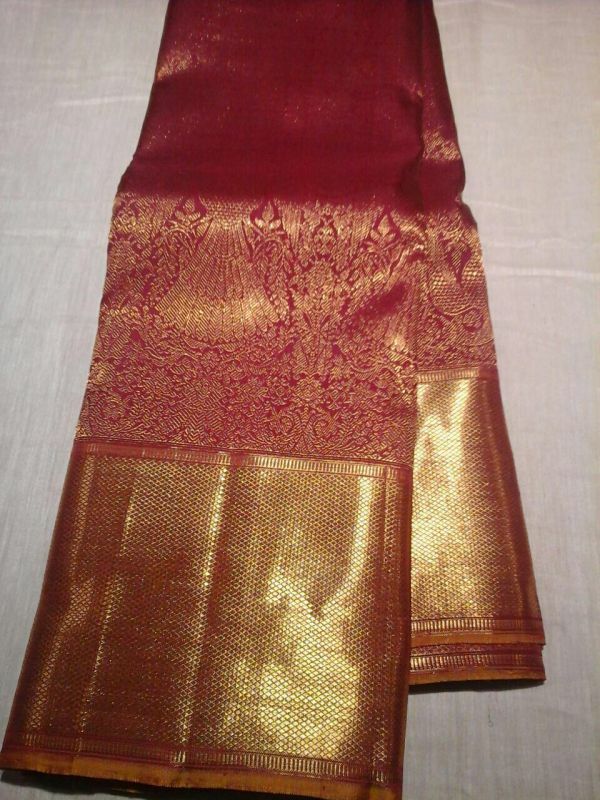 As per tradition, the bride wears a sari given by the mother and the red gold sari is a real zari Kanjeevaram. "The body design is the Gandaberunda (two headed bird) the mythological figure that is also represented as the coat of arms of the Mysore Maharaja and subsequently Karnataka," adds Radharaman. He added that the veil was not theirs and the sari had been duly purchased from their store by Deepika herself along with another sari and there was no commercial or personal arrangement behind it. When I brought it to the notice of @sabyasachiofficial with Radharaman's permission, the designer instantly responded that it was indeed given by the bride's mother to them. They trimmed and styled it. 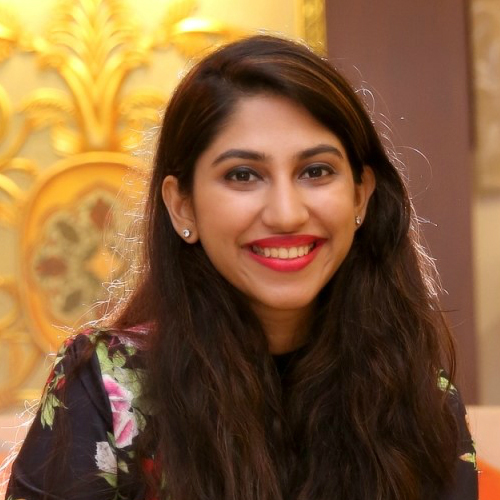 @sabyasachiofficial also added with grace and clarity about credit where due that while the sari's details were not known earlier, once the store name has been brought to their notice and after it is verified, it must be rightfully credited. We totally love how Deepika followed the customary practice and did not care about where the saree came from. Instead, it was all about her mother's love for her. That's why the saree, gorgeously styled with beautiful Sabyasachi jewellery and those smokey eyes, made her look so elegant and graceful. Since the wedding happened, we've been getting more and more reasons to fall in love with the couple and their story!